Edward Stephen Harkness (January 22, 1874 – January 29, 1940) was an American philanthropist. Given privately and through his family's Commonwealth Fund, Harkness' gifts to private hospitals, art museums, and educational institutions in the Northeastern United States were among the largest of the early twentieth century. His was a major benefactor to Columbia University, Yale University, Harvard University, Phillips Exeter Academy, St. Paul's School, the Metropolitan Museum of Art, and the University of St Andrews in Scotland. Harkness inherited his fortune from his father, Stephen V. Harkness, whose wealth was established by an early investment in Standard Oil, and his brother, Charles W. Harkness. In 1918, he was ranked the 6th-richest person in the United States by Forbes magazine's first "Rich List", behind John D. Rockefeller, Henry Clay Frick, Andrew Carnegie, George Fisher Baker, and William Rockefeller. Harkness was born in Cleveland, Ohio, one of four sons of Anna M. Harkness and Stephen V. Harkness, a harness-maker who invested in and was one of the five founding partners in the forerunner of Standard Oil, John D. Rockefeller's oil company. Stephen Harkness died when Edward was fourteen, leaving his wife and oldest son, Charles, to manage the estate. 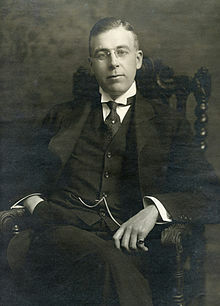 Harkness attended St. Paul's School and Yale College, Class of 1897 and Columbia Law School. Harkness, his brother Charles, and cousin William were members of Wolf's Head Society at Yale. After graduating, Edward Harkness married Mary Stillman, daughter of wealthy New York attorney Thomas E. Stillman, in 1904. Mary's maternal grandfather was George Greenman, a shipbuilder in Mystic, Connecticut, who founded George Greenman & Co. Harkness' mother gave the couple a new Italian Renaissance mansion on the Upper East Side as a wedding present. As the building's architect, Harkness chose Yale College classmate James Gamble Rogers, who would later design many of his philanthropic building projects. The home, at 75th Street and 5th Avenue and now known as the Edward S. Harkness House, became the headquarters of Harkness' Commonwealth Fund after Mary's death. Harkness briefly served as a railroad director for the Southern Pacific Railroad, but within several years decided to become a full-time philanthropist. He began making gifts to the Egyptian collection at the Metropolitan Museum of Art in New York in 1912, and that same year was appointed to the museum's Board of Trustees. Harkness' older brother Charles died in 1916 at age 55, leaving Edward more than US$80 million, much of it in Standard Oil stock. Charles had continued to invest substantially in Standard Oil as manager of the family fortune, and his brother's estate made Harkness the third-largest stakeholder in Standard Oil. Harkness made charitable gifts totaling more than $129 million, the equivalent of $2 billion in 2005 dollars. His philanthropic peers John D. Rockefeller and Andrew Carnegie gave respectively $550 million and $350 million. Harkness encouraged and orchestrated the merger of Presbyterian Hospital and Columbia University's College of Physicians and Surgeons, creating Columbia-Presbyterian Medical Center (CPMC), the world's first academic medical center. The campus was built in the 1920s on the site of Hilltop Park, the one-time home stadium of the New York Yankees, which Harkness purchased and donated. Despite his aversion to have anything named for himself, The Edward Harkness Eye Institute was named by relatives. In 1997, Columbia-Presbyterian merged with the New York Hospital. New York hospital had affiliated with Cornell University's Weill Cornell Medical College in the 1930s, following their lead. Now known as NewYork–Presbyterian Hospital / Columbia University Medical Center, The Harkness Pavilion, named for father Stephen, is a central part of the campus. Harkness and his mother, Anna, gave substantial sums to several important non-profit enterprises. Harkness was a major benefactor of the New York Public Library and the Metropolitan Museum of Art. Harkness, in addition to donations to the Decorative Arts Department, gifted the Museum's initial Ancient Egyptian art collection. Harkness bought the complete Tomb of Perneb for the Met and helped purchase the Carnarvon Collection of Egyptian artifacts. He also donated the Met's unofficial mascot, a blue decorative hippo from the Egyptian Middle Kingdom's Twelfth Dynasty. It is known as "William." In 1917, a year after Charles' death, Anna Harkness donated $3 million to Yale University to build the Memorial Quadrangle student dormitory in Charles' memory. In 1918, Anna Harkness established the Commonwealth Fund with an initial gift of $10 million, and Harkness was made its president. Harkness and his wife made many contributions to educational buildings, including St Salvator's Hall at the University of St. Andrews; Harkness Chapel and Harkness Dormitory at Connecticut College; Butler Library at Columbia University as well as the original portions of the Columbia University Medical Center and the undergraduate dormitories at Brown University and Connecticut College - all of these were built through his philanthropy or that of his wife, Mary. Between 1926 and 1930, Harkness made major donations to Yale and Harvard to establish residential college systems at each school. Harkness admired the colleges of Oxford and Cambridge in England and proposed to Yale President James Rowland Angell that he would fund a similar system for Yale's undergraduate college to relieve overcrowding and improve social intimacy. When the Yale Corporation failed to accept Harkness' offer by 1928, Harkness went to Harvard with a similar offer. Harvard's president, Abbott Lawrence Lowell, quickly accepted, and eight houses for Harvard College were completed by 1931 with a $10 million gift from Harkness. Dismayed, Yale administrators appealed to Harkness to reconsider his offer, and in 1930 he agreed to give Yale $11 million for nine residential colleges of its own. Harkness persuaded Yale to retain his friend James Gamble Rogers as the colleges' architect. He also made gifts that established the Yale School of Drama, the first independent drama faculty in the country, and erected its theatre. Around the same time as his Yale-Harvard philanthropy, Harkness sought to reform the pedagogical techniques of the country's elite boarding schools. At Phillips Exeter Academy, he sought to innovate beyond rote learning by introducing the Harkness table method of instruction. Through further gifts, the method spread to St. Paul’s, The Lawrenceville School, and Kingswood-Oxford School. Harkness also made gifts to Taft School, The Hill School and Phillips Academy. He established the Harkness Fellowships and founded the Pilgrim Trust in the UK in 1930 with an endowment of just over two million pounds, "prompted by his admiration for what Great Britain had done in the 1914–18 war and, by his ties of affection for the land from which he drew his descent." The current priorities of the trust are preservation, places of worship, and social welfare. Edward and Mary Harkness had a number of homes in addition to Harkness House in New York. They spent summers at their Eolia mansion on Long Island Sound in Waterford, Connecticut, near where Mary had visited her grandparents in the summers. The home and 230 acres (93 ha) of ornamental gardens and grounds are now maintained by the State of Connecticut as Harkness Memorial State Park. They also owned another house on Long Island in Manhasset, New York on 186 acres called Weekend, designed by architect James Gamble Rogers, plus houses in North Carolina and California, and a camp in the Adirondacks. They also spent time at the Jekyll Island Club in Georgia and Yeamans Hall outside of Charleston, SC - another James Gamble Rogers golf and winter community. Harkness was honored with a three-page spread in the Yale Banner and Pot Pourri published by the Yale Class of 1940 for his contributions to the University in particular and the world at large. In addition to the family funded foundations, Harkness (along with another wealthy neighbor, Edward Crowninshield Hammond) was the inspiration for Eugene O'Neill's off-stage character "Harker", the "Standard Oil millionaire", in Long Day's Journey into Night, and on-stage figure "T. Stedman Harder" in A Moon for the Misbegotten. ^ a b c "C. W. Harkness Left $1,700,000 Estate" (PDF). New York Times. 9 May 1916. Retrieved 27 May 2015. ^ a b c Towler, Katherine (Fall 2006). "The Men Behind the Plan" (PDF). Exeter Bulletin. pp. 25–33. Retrieved 27 May 2015. ^ "Education: Old Blue". TIME. 19 February 1940. Retrieved 27 May 2015. ^ Perry, Lewis (October 1951). "Edward and Mary Harkness" (PDF). Metropolitan Museum of Art Bulletin. 10 (2): 57–59. Retrieved 29 May 2015. ^ Finding aid for the Preston Remington records, 1925-1970, Metropolitan Museum of Art. Retrieved 25 July 2014. ^ Gelfand, Aleksandr (26 October 2012). "This Weekend in Met History: October 28". Now at the Met. Metropolitan Museum of Art. Retrieved 27 May 2015. ^ a b Schiff, Judith Ann (May–June 2008). "How the colleges were born". Yale Alumni Magazine. Retrieved 3 April 2014. ^ "Harkness and History". Harvard Magazine. November 2011. Retrieved 27 May 2015. ^ Kelley, Brooks Mather (1999). Yale: A History (2nd ed.). New Haven: Yale University Press. p. 384. ^ Wooster, Martin Morse. "Edward Harkness". The Philanthropy Roundtable. Retrieved 27 May 2015. ^ Trust Deed, quoted on the Pilgrim Trust website, accessed 4 December 2006. Wooster, James Willet (1949). Edward Stephen Harkness, 1874-1940. Privately printed. OCLC 3946050.